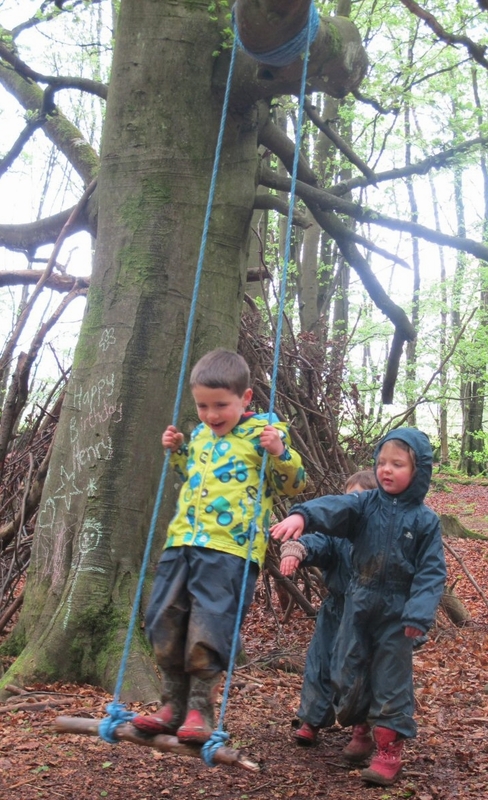 A few weeks ago I was approached by outdoor educator Mandy Tulloch, who told me that some insurers were getting into a bit of a tangle about rope swings. As you will see, her story held some revealing insights into the approach the insurance industry sometimes takes when assessing the risks that it is presented with. Her tale also showed the value of a firm, assertive stance when dealing with insurers. How do we respond to daredevil children? Today I took a phone call from a television news channel asking me to comment on this Youtube video. The clip is not for the faint-hearted. It shows 22-year-old James Kingston climbing up a tower crane in Southampton, then hanging by one hand off one of the crane’s bars, with a 250 foot drop beneath him. The reporter wanted me to condemn Kingston’s actions as likely to encourage copycat behaviour and put children at risk. The call made me think: what is going on when children or young people carry out acts of extreme danger, and how should we respond? Here’s a seasonal activity for you, with a hint – or more than a hint – of adventure: leaf-pile-diving. My city is about to host the Paralympic Games. The prospect of watching the talents of disabled sportspeople has got me thinking about the lives of children and young people with disabilities. 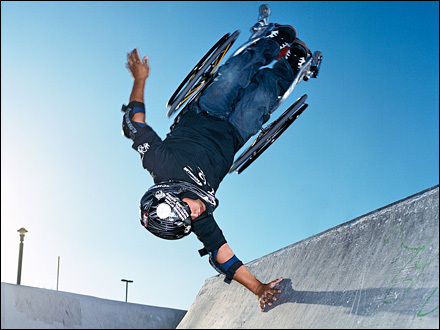 Just like their non-disabled peers, they have an appetite for risk and adventure. By way of a demonstration, I would like to introduce you to Aaron Fotheringham. I hereby invite you to stop whatever it is that you’re doing, and enjoy 2’46” of pure, unadulterated fun. Here is a video of a group of teenage boys making the most of a forest lakeside spot in New South Wales.